Trail cameras play a very important part of my deer hunting success. At any given time, I may have between fifteen and twenty-five trail cameras deployed over three states. Trail cameras help me gather as much information as possible while I’m away. I’ve learned through running many types and brands of cameras, choosing the best trail camera can be difficult. You can use your budget to buy a small quantity of expensive, high quality cameras, or a bunch of lower tier cameras. How do you know what the best trail camera is for your budget? It starts with these five basic questions. The first question you need to answer is, how many trail cameras do you need to cover your hunting property? Did you just pick up permission on a small five acre piece of land? Buy a new 100 acre parcel? Lease a 1200-acre farm? The size of the area you are trying to cover, can have a major influence on how many trail cameras you need. If you just picked up permission on that small five-acre tract of land, one really nice, expensive trail camera might be the route to go. If you are attempting to spread a wide net over a large acreage, this could be a time to buy several less expensive trail cameras. As a point of reference, the Quality Deer Management Association recommends one trail camera per 100 acres for the purposes of a trail camera survey. This is a good starting point, but you may want to double the amount if you are trying to pattern an individual deer, or figure out how deer use the property in a more detailed sense. What Type of Flash is Best for Your Trail Camera? There are a few different types of flashes available when purchasing a trail camera. The three main options are infrared flash, white flash, and no glow or “black” flash. If you want color photos at night, white flash is the way to go. With a white flash, some people believe you may run the risk of spooking deer. Infrared flash, or “low glow” cameras produce a faintly visible red glow from the infrared emitters, when taking night photos. In most cases, I believe that they don’t spook deer. Video mode is the only time I have seen deer spook with an IR flash. Finally, no glow cameras don’t produce any visible light when taking night photos. For the most part, however, the quality of nighttime photos is lower than a low glow IR camera. Technology has been improving here, and the upside of black flash, is you can take away any concern of deer spooking from the flash. How “Safe” Will Your Trail Camera Be? It’s sad that I even have to cover this topic, but in these days it’s reality. Trail camera thieves are out there, and there is nothing worse than going to pull an SD card, and the camera is gone. Consider where exactly you’ll be using a camera. Will it be public land, private by permission, or somewhere where you can post the property? If you have any worry of your trail cameras being stolen, this is where I would suggest placing lower quality cameras. Most cameras have added security features like molded in security cable slots, and custom metal bear proof lock boxes. Even if you have it locked up, I’ve seen people do some messed up things to steal a camera, like cutting down the entire tree it’s attached to. 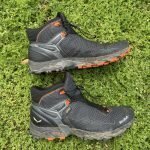 Should I Get a Wireless Trail Camera? As technology continues to improve, the price of wireless trail cameras continues to come down. They are becoming more and more affordable for hunters. Wireless trail cameras can be an invaluable tool in the right situation. Is your hunting property a long ways away? Do you want to put a trail camera in a bedding area that would be risky to check? There are multiple situations where having a wireless trail camera could play to your benefit. Besides budget, the main concern with wireless trail cameras is cell service. What is the point of buying a camera that will text you pictures if it never has service? Look at what carriers have the best coverage in your area, and the available service plans, before buying. 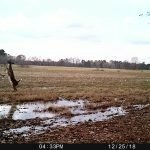 How Will the Trail Camera be Used Most Often? Do you want superior quality photos and video, or are you just looking to see what is in the area? If you plan to place the camera over a trail or in a funnel, trigger speed, multi-photo modes, and detection range are critical. If you want high quality pictures to identify specific deer, and will be using mineral stations or food sources, pay attention to megapixels, and flash type. Going through hundreds or thousands of videos can take a long time, so consider how many you actually want to take. Finally, if you are covering a large area, you might want a camera that has a time-lapse feature to take timed pictures near dawn or dusk to see what is out of the detection range. So What is the Best Trail Camera for you? There are so many different types of trail cameras on the market, with improving technology, there are lots of “right choices. Sometimes there are subtle differences between each model, and sometimes there can be major differences between low quality and high quality cameras. Ask yourself these questions, and use the answers to help you decide the best trail camera for you. 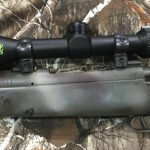 If you are on a budget, huntinggeardeals.com can help you get the most bang for your buck, and stretch your dollars to get more cameras. Alex Comstock is the founder of WhitetailDNA.com. If you want to see more of his deer hunting content, be sure to check his website and YouTube channel. You can also follow him on Facebook, Instagram, & Twitter. Top 7 websites to find a great deal on your best trail camera. Amazon– The world’s largest retailer has some of the best deals and a huge selection. eBay– There are lots of refurbished and close-out trail cameras. Walmart.com– As we all know, Walmart is cheap. Sometimes they have trail cams under $20. Jet.com– Amazon’s new competitor has a 15% off discount code for new users and similar products and pricing. Cabela’s– Great private label and most major brands with periodic discount codes. Camofire.com– Timed deals with unbeatable prices, especially on refurb cameras. Field Supply– Category sales that sometimes include trail cameras.